Dave Thor Newman is the man behind Honolulu’s Pint + Jigger’s craft cocktail and beer program. Dave is a seasoned mixologist and the President of the Hawaii Chapter of the United States Bartenders Guild. Just like the craft beer movement, craft cocktails are growing in popularity throughout the country and Dave is bringing the art to Honolulu. We caught up with Dave to learn more about P+J’s rotating beer list and the art of the cocktail. You’re known as a mixologist and a cocktail guy. How did you get into craft beer? I’ve been an avid fan of craft beer for a long time. The same things that we are trying to do with craft cocktails are the same things that the craft beer producers are doing. We want to make a superior product using the freshest ingredients we can get our hands on. When you pay $5-6 for your standard beers, why not pay a few dollars more and get one of the best beers in the world? Personally, I took a long trip through Europe and fell in love with a lot of the small breweries that I came across. After that, there was no turning back. Whenever I can get a good craft beer I do. That being said, there is a time and a place to drink everything. People need to stop turning their noses up at what other people choose to drink. Beer is fun and lighthearted. Well at least I think it should be. It is one of the things that I like most about beer, say in comparison with wine. How does your background in cocktails help you with choosing beers to put on at P&J? I think my background in cocktails helps me with the beer list at Pint + Jigger by showing me the importance of variety and change. Cocktails trends and what people like are generally not stagnant. By that I mean people will really enjoy one cocktail or beer for a while and then switch it up to another. Of course, there are some people who drink the same thing all the time, but they are not typical at Pint and Jigger. So we try to keep things changing, sometimes bringing back a past favorite, sometimes something completely new for everyone to try. What types of beers do you like to always have on tap at P&J? Is variety important? Variety is very important! People want to try and experience new things all the time, its part of what makes life so fun and enjoyable. We want the same in our cocktails and beer. We want to challenge our taste buds and find new beers that we really love. We do try to keep some of the standards available to let people have some choices to fall back on when they aren’t feeling so adventurous and want a sure thing. Guinness is a no brainer. We will always have a well poured Guinness waiting for you at P+J. We like to keep a few good IPA’s on tap all the time. Ballast Point Sculpin has been a crowd favorite for some time as so has Deschutes Chainbreaker (white IPA style). Funny thing with the Chainbreaker is that our guests really chose that beer. We ran it for a couple months and took it off the taps. Public outcry and guest requesting it got it back on tap in no time. We try to have a Hefeweizen on all the time. Right now it’s made by Erdinger. We try to keep a good balance of beers. So on the easy drinking side we will have something like a Hoegaarden or a lighter local beer like HIBC Mango Wheat or even Goose Island IPA. Then heavier beers like Ballast Point’s Black Marlin Porter. Then some rotating beers that are a lot harder to come by and a real treat to enjoy, like beers from Mikkeller from Denmark. How do you choose what will be on tap each week? Honestly a lot of my choices are restricted by what is available in Hawaii that week. Being so far from most of the craft beer breweries makes our selection very limited compared to other parts of the US. I try to look as far ahead as possible to make sure that the variety of styles that we want will be available. I might buy a few extra kegs of a certain beer so that we insure keeping the variety that we want. I love to have beers that complement the seasons. Obviously, in Hawaii we don’t get the drastic changes in our weather that other parts of the country get. But, that is one of the things I love most about the seasonal beers. When you sit down and enjoy a great seasonal beer it can transport you to another place. Winter Lager in December. Yeah, it’s 82 degrees outside, but drinking a Winter Lager I feel like I am in Colorado again! Amazing. How do your cocktails complement your beer selection? The great thing about cocktails and beer is that they don’t have to be mutually exclusive. You can start your night with a cocktail to get your appetite going, then switch to a beer with your dinner and finish with either a beer or a cocktail at the end. People always say that mixing gives them terrible hangovers…no drinking too much gives you terrible hangovers. I personally like to start with cocktails and move into beer. It’s a good way for me to pace myself and make sure that end the night on a high note. What about beer cocktails? What are they and why should people try them? Beer cocktails have come a long way from the Irish Car Bomb. First of all, beer has come a long way in the last few decades, offering the bartender many more options and depth of flavors to work with. Beer is just another tool in a good bartenders tool box. Something that once they understand how and when to use can add another dimension to a cocktail. That being said, you can’t just take a beer and add it to your favorite cocktail and think you will make it better. There is a time and a place where beer can take a cocktail to the next level. How do you come up with your food and beer pairings? Fortunately I love beer and I love food. So we try them all the time. Before we put a new food item on the menu, we sit down with it and taste it with all of our tap beers until we find the one that works the best. Sometimes it contrasts a flavor in the dish and sometimes it compliments it. We try to chose the beer that made us enjoy the food item the most. P&J looks and feels different than most other bars in Hawaii. It feels more like a place you’d SF, LA or NYC. How have people responded to that? When we sat down to design P+J we wanted to create a space where people could come and feel like they were not in Honolulu for a couple of hours. We get really excited when we hear that people feel like they are in another city. It’s rewarding to see that people get what we wanted to do. The response has been overwhelmingly positive so far! People say that the place has a great vibe and that even though it is a neighborhood bar, they feel like they have been transported and who doesn’t want to be transported sometimes??? 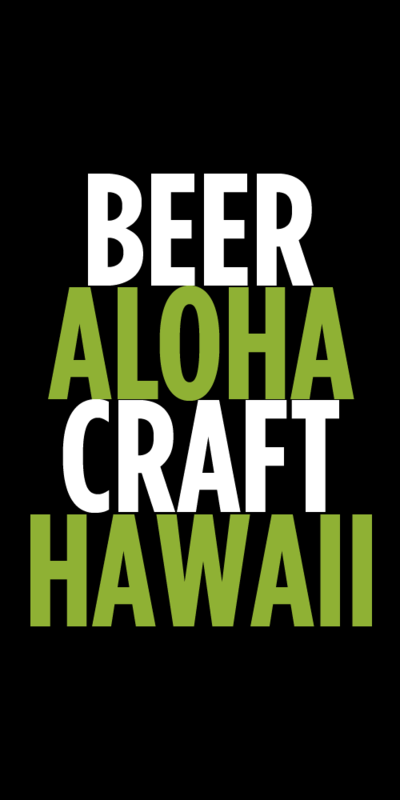 There is a small, but growing craft beer community here in Hawaii. How have you seen it change in the past few years? Where do you see it going? The craft beer community here is amazing. I learn more from them than they do from me! I think because good craft beers have been so hard to come by in the past, these people are true die hards. They have had to search out craft beer and in many cases import the ones the really wanted to try themselves. They brew a lot of their own and are very knowledgeable. It’s really rewarding to get the craft beer community’s approval and see them come back to the bar time and again to see what is new. It’s gotten so much better in the last few year. Real a Gastropub’s beer list is off the charts and we have been able to start getting some really fantastic and limited beers that we weren’t able to get here in Hawaii. I only see it getting better too! We will continue to push to get new brands out here and support the ones we love. I am excited because we are finally starting to see craft beer on draft at places that only carried domestics before. The tide is turning and its the beer drinking community that really decides what’s on tap! What type/style of craft beer do you give to the person who normally only drinks Bud Light or Heineken? It’s really a lot of fun for me to introduce these people to new beers. I have found a few things to be true. I can’t pigeon hole someone into a certain type or style of beer, just because they are a Bud Light drinker. When we first opened I would try to get them something easy and similar tasting like a Stella, but now I’ve learned a few things. These people are stepping out of their comfort zone to try something new! Bravo! If you want to try something new, chances are you are not looking for something that tastes like what you are used to. It’s my job to figure out what style of beer each person might enjoy. It’s actually one of the aspects of my job that I enjoy the most! We offer small tasters of our beers and our bartenders are really good at helping people find something that suits them. We are just stoked that they have taken the first step. What style of beers tend to be the most popular at P&J? We sell a lot of IPA’s, Hefeweizen and surprisingly stouts. Beer knowledge is important for your bartenders. What training do they go through so that they are able to help customers choose beers they’ll enjoy and try new things? First and foremost our bartenders love beer. So its easy to get them to try all the beers that we carry. Everyone has different tastes in beer, so we try to get as much information and practical knowledge to our staff as possible. The more they know about taste the easier it is for them to be able to point someone else in the right direction. Our bartenders and servers are expected to be Cicerone certified beer servers. It is a process that all of the floor staff undergoes. We want people to feel confident in getting advice from anyone working on the floor at Pint and Jigger. Every new beer is talked about and most importantly tasted. Once the server or bartender has the information that is relevant to properly explain a beer to our guests, we have confidence in their ability to make good recommendations for the guests. Would love to see some of the stuff coming out of San Diego make it out here like Stone and Green Flash. I would like to personally drink some Pliny and Lagunitas. We try to support the local breweries when the product is a good match for our bar. Just because your beer is brewed here or you say it is, doesn’t mean that its a good beer. 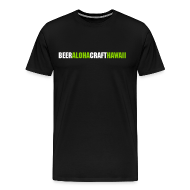 Fortunately we do have some great breweries like Maui that are really pushing the envelope and doing great things, so supporting local is easy. Funny thing is that after a really long shift of making craft cocktails and serving craft beer I am pulled to the darkside. I just want something that requires no thought. PBR and a shot of Jameson’s please. There is a time and a place to drink everything. I like when my senses are really sharp and I am wide awake to have a great cocktail or a really good craft beer. When I am winding down, my back is sore, my feet hurt and the idea of making another cocktail is too much to bear, I just want a PBR and a Jamo. What cocktail do you enjoy making the most? I am currently in love with the Mesquite Smoked Manhattan at Pint and Jigger. I created this cocktail a few months ago and I think it is the best Manhattan I have tasted. The mesquite smoke fills the room and it reminds me of camping. Just making the drink I can almost taste it. Plus I get to use a blowtorch! Tags: Dave Thor Newman, Hawaiian Beer, Interview, Pint and Jigger. Bookmark the permalink.